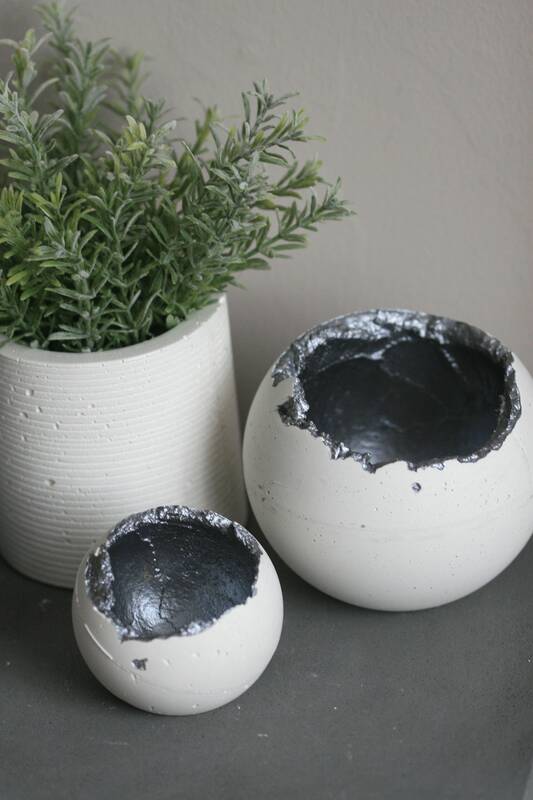 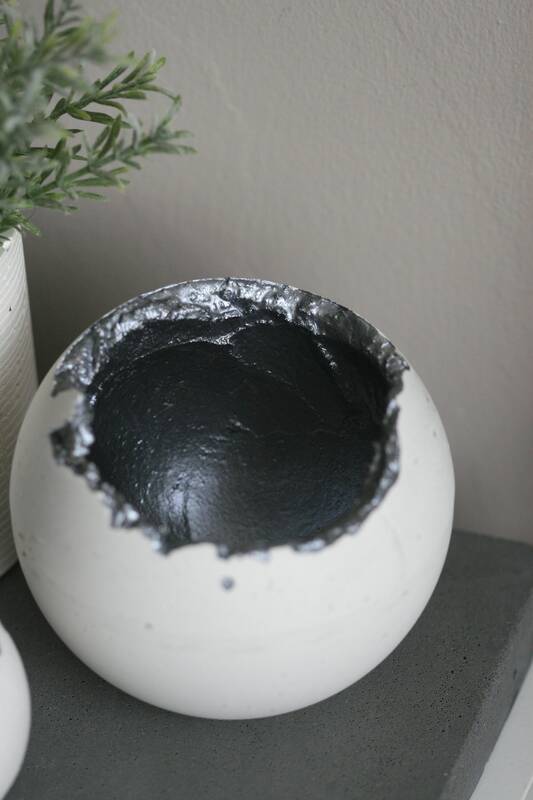 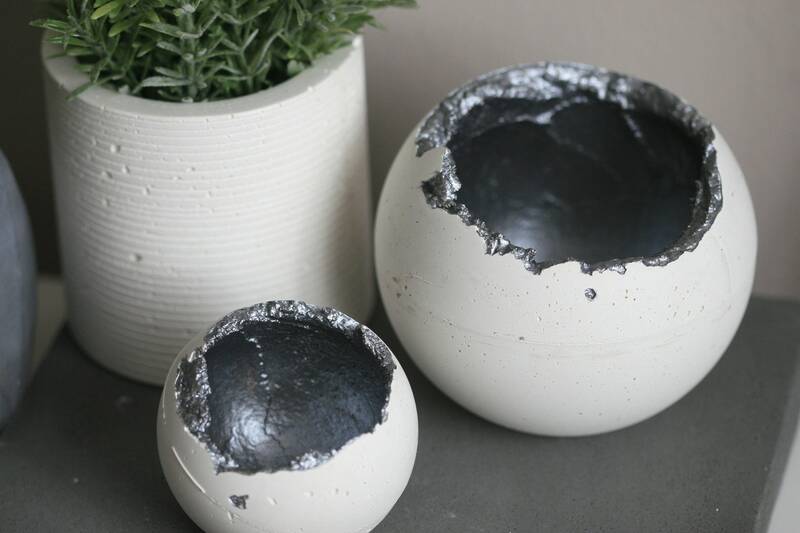 Minimalist Handmade Concrete Candleholder/ Decorative Bowl has been hand painted with Water based Metallic silver paint and sealed with eco top coat. 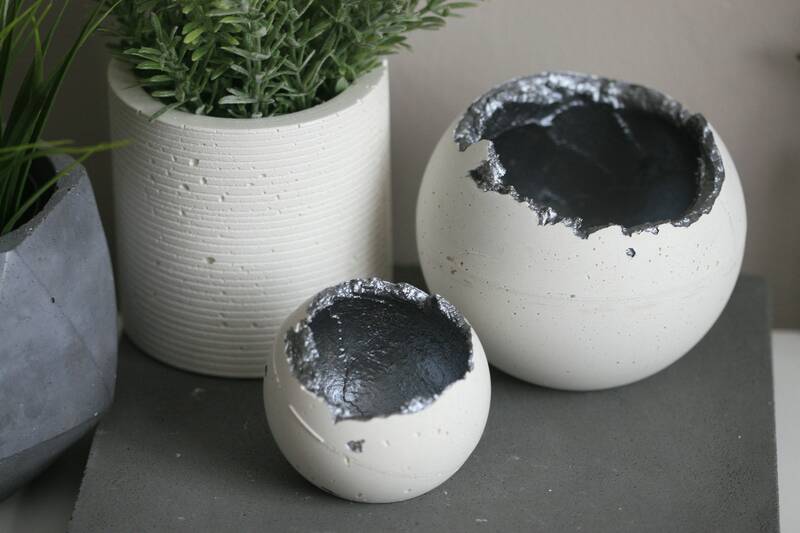 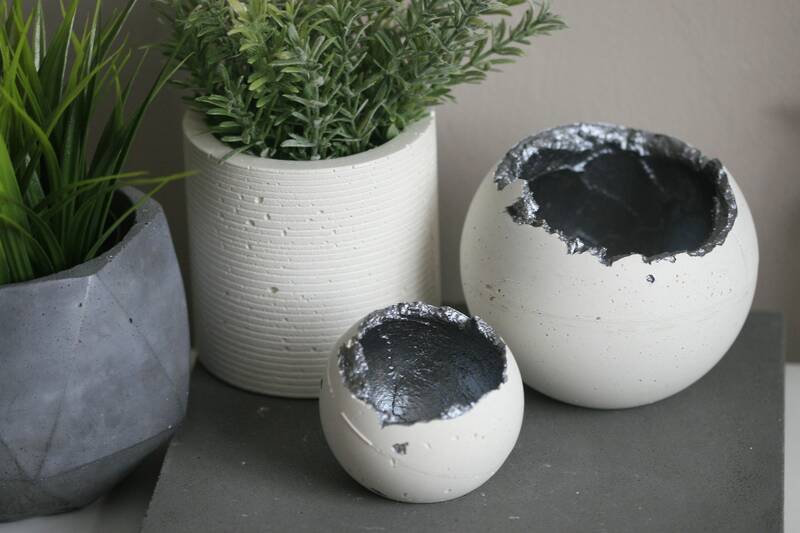 Design of these concrete spheres is inspired by Wabi Sabi- In traditional Japanese aesthetics, it is a world view centred on the acceptance of transience and imperfection. 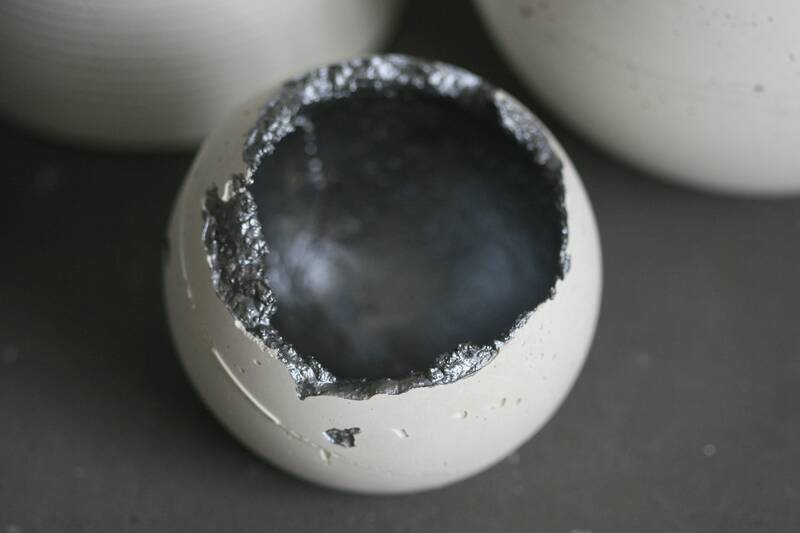 The aesthetic is sometimes described as one of beauty that is "imperfect, impermanent, and incomplete". 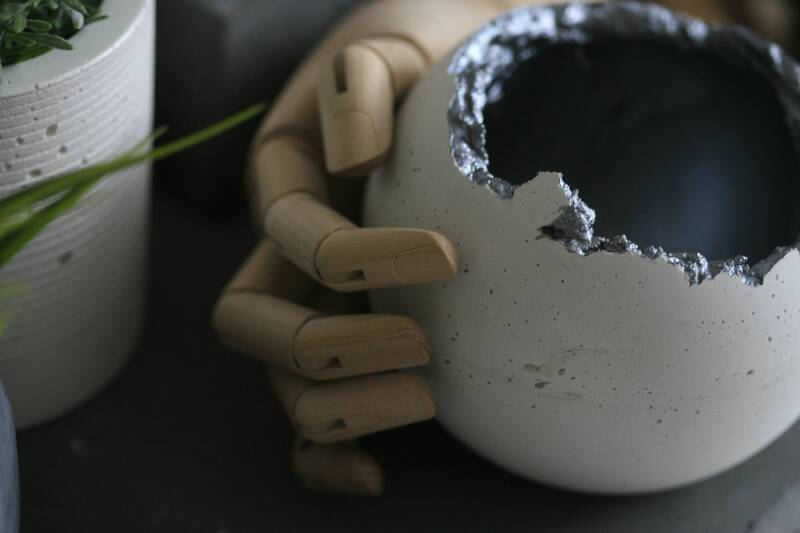 Characteristics of the wabi-sabi aesthetic include asymmetry, roughness, simplicity, economy, austerity, modesty, intimacy, and appreciation of the ingenuous integrity of natural objects and processes. 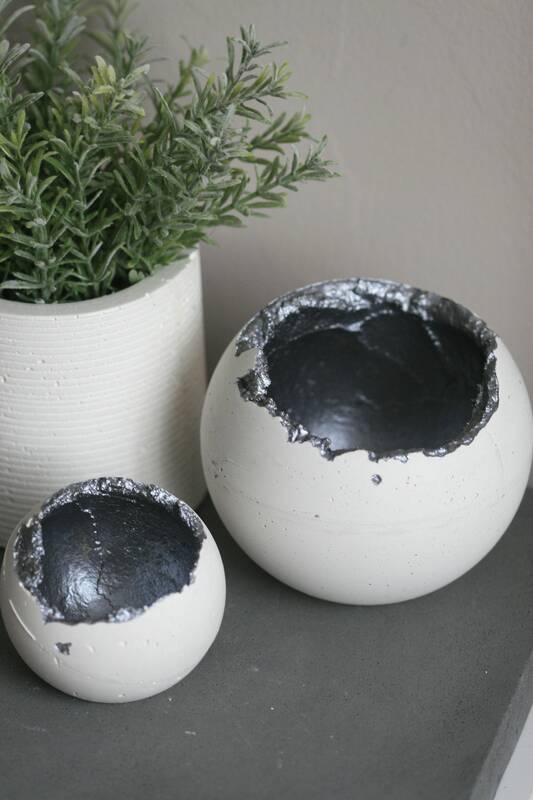 Candles, jewellery and plants are not included.